If you’re a small business retailer of any kind, chances are you’ve been overwhelmed at one point or another by how to best organize your product pages. Well designed site architecture and optimized product pages are an essential piece of website user experience. If your web visitors get lost trying to navigate through your product pages or can’t find what they’re looking for, they will most likely bounce right off your site. 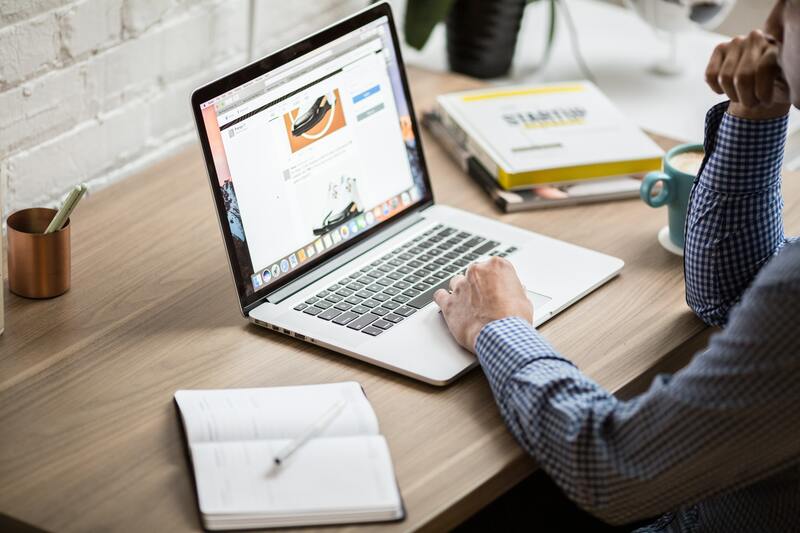 The best website structure for SEO is using a simple navigation and page layout to draw and retain visitors to your small business, ecommerce website. If you’re wondering what this entails and how it can help you increase your customer conversion rate, stay with me. Website structure (or website architecture) is essentially how you organize your website navigation and lay out the web pages on your site.The best website structure for SEO includes elements such as a clean (or easy to follow) navigation bar, internal links that follow logical paths for visitors throughout the website, and being able to filter information into additional subsets or pages. No matter where a visitor may be on your small business website, it should always be easy for them to find things quickly and easily on your website. The main objective of a successful website SEO structure is to make all the information easily accessible for the user, so they can locate it and take action as quickly as possible. Get in and get out! This means you need to be mindful of user experience when creating every page on your website. You should always prioritize design and website structure, making sure everything is well-developed, fluid, and optimized from your homepage navigation all the way to your call to action buttons. 1. The deeper you go in a website (or the more pages you have), the less page authority those subsequent page have. Your page authority is an SEO factor that search engines see when they determine how well to rank your small business website. This means it’ll be harder for them to rank well in SERPs. So, the fewer pages in your site architecture path, the better chance they have to rank higher. Less is more is what I’m saying! 2. Visitors are coming to your website to do research, find information, or because they want to buy something from you. If you have too many pages on your website, it will slow down the end-user and or make it difficult for them to locate what they are looking for, which may lead to them leaving your site. Although fancy graphics and involved web pages may look stunning and interesting, it’s best to keep your pages simple. The simpler your ecommerce pages are to navigate, the more likely your web visitors will be to buy your products right then. – Design your website ecommerce architecture with 3 layers (or “3 clicks” to get to the correct page). Plan out what products can be grouped together and how they can most easily be divided as well. As mentioned above, the ending page of a website user’s path should be no more than three clicks away from the home page (or the page the user started on). Adding useful filters to your product page searches is also another great way to expedite your customer’s search process. – If you’re looking to redesign your website structure and move some of your product pages, make sure to talk to an SEO expert so you can ensure any page redirects are done correctly. Cazbah’s IMCs (Internet Marketing Consultants) will work with you to make sure your product pages flow logically and are properly designed. If you’re a small business retailer with a lot of products, this may mean you’ll need to design your product navigation to be more specific and creative (but still intuitive) about how you’ll be grouping your products together. Remember, keep user experience in mind when organizing products. Make sure to use product terms and names your customer and visitors would most likely use to find your products (you’ll read more on how to do that further down the page)! Again, you don’t need to do anything overly fancy. The best website structure for your small business will be simple and clean. Fewer places for your website visitors to get lost or confused will mean more clicks on the correct pages, leading to a higher customer conversion rate for you! A short website structure designed for SEO will also help Google index your web pages more easily and help your website visitors find the products they’re searching for faster. The better designed and optimized your product pages are, the more they’ll be featured in SERPs, which will bring more organic traffic to those pages! One of the reasons simple site structure is so important for website performance is because it helps with page authority. Page authority is a score which predicts how well a page will rank on the SERPs. Having a high page authority is a good metric because it means you have a greater chance of outranking others, and you need to keep it that way. Of course, one major factor that comes into play with page authority is through search engine optimization. And a major factor of good, on page SEO is using long tail keywords. The keywords and terms you want to target and optimize your pages for should be specific to the kind of target audience you want to attract. If you go too broad, you run the risk of getting buried in SERPs. If you go too narrow or use unpopular terms, you won’t get enough traffic or new customers to sustain your business. After doing keyword research, you may find you’ll need to rename some of your products, or re-write your product descriptions and pages to include the most popular long tail keywords. 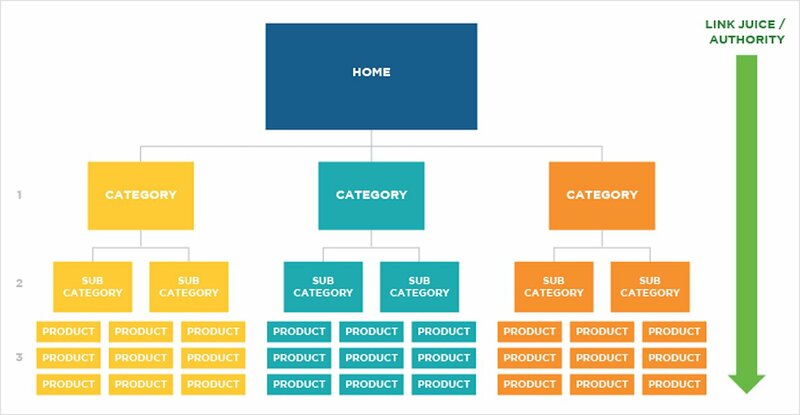 Doing keyword research can also give you some ideas on a natural website hierarchy you can use to organize your product pages. You also want to make sure you’re highlighting any unique products or services you offer that set you apart in your product lists and through your keywords. Make sure those product pages are visible and easy to find. Those are your special niche products that could end up bringing a lot of new traffic to your site! The best website structure for SEO you could possibly create is actually simpler than you may think. Nothing is more appealing in a website than simple and clean design with fewer web pages. If your visitors can find what they’re looking for quickly (and enjoy it at the same time), you’ve ultimately won one of the hardest battles you’ll ever have to face in the life of your small business. Use your new found knowledge of site architecture and SEO practices to create the best, and most successful, small business website you can for your customers!